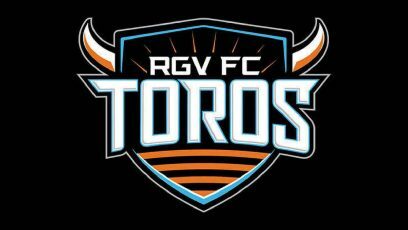 The RGV FC Toros moved to the brink of playoff elimination on Saturday with a 1-1 draw against Colorado Springs Switchbacks FC at Weidner Field in Colorado Springs, Colorado. With five matches remaining in the regular season, the Toros are 5-11-13, good for 28 points. RGV sits in 14th place and would need to claim all 15 possible remaining points to reach the current playoff cutoff of 43 points. The Toros are 1-8-4 on the road this year. Colorado Springs jumped ahead in the 8th minute on Saturday, when Saeed Robinson fired a shot into the top-right corner of the net from just beyond the opposite corner of the penalty box. RGV found an equalizer in the 71st minute, when Jesus Enriquez beat a defender, dribbled down the byline and sent a short centering chip to Nicolas Perea, who finished a header from about 7 yards. Michael Nelson finished with three saves for RGV, consistently snuffing out threatening chances. For the match, Colorado Springs held slight advantages in possession (52.2 percent), shots (13-11) and shots on target (4-3). RGV returns to action when it hosts Seattle Sounders FC 2 on Sept. 22.